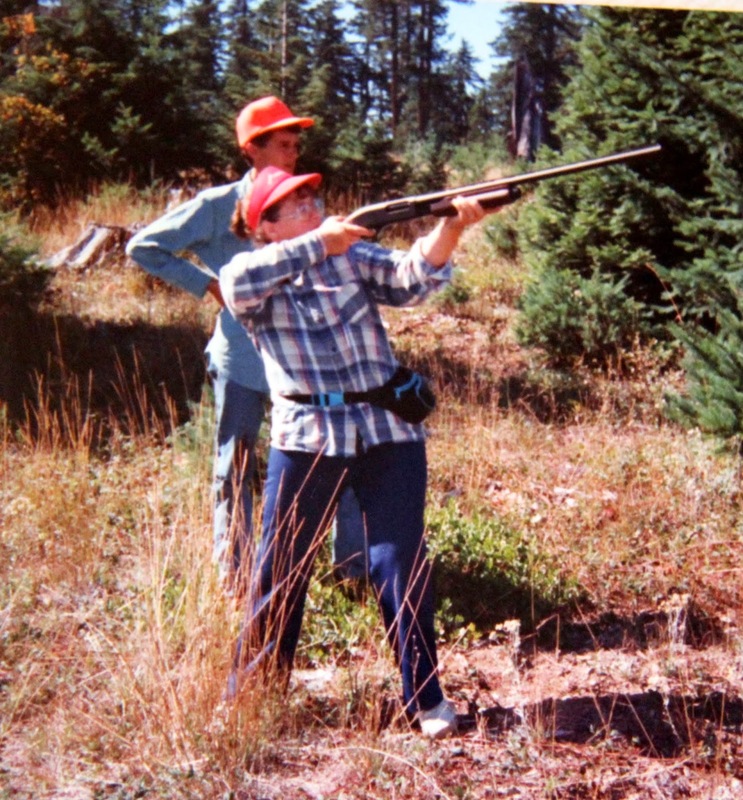 My mother-in-law, Shirley, and I never had what one might call an easy relationship. I realize this is not a rare thing. Rarer, I think are those fortunate enough to have true friendship and comfort with their spouse’s mother. Nevertheless, it surprised and unsettled me because I’d never met anyone quite like her. Her ways were so foreign to my own, which involved extreme shyness, low self-esteem and confrontation avoidance mixed with an arrogance that made me way too cool for, well, most things really. She was prone to extreme meddling, treated us as if we were still children, made comments on the way I dressed (“I sure wish you would wear pink instead of all that black.” “Dear, your lipstick is far too bright.”), she was very familiar with a shotgun, adored macrame and fanny packs, and the woman could hold a grudge like no one I’ve met since. I could go on and on but I think you get the picture. I coped by keeping her at a comfortable distance and engaging, always politely, only when absolutely necessary. Thankfully, Bob was happy to do the same which is one of the reasons we’re still married. Shirley out hunting with her boys. That’s Bob in the awesome hat behind her. 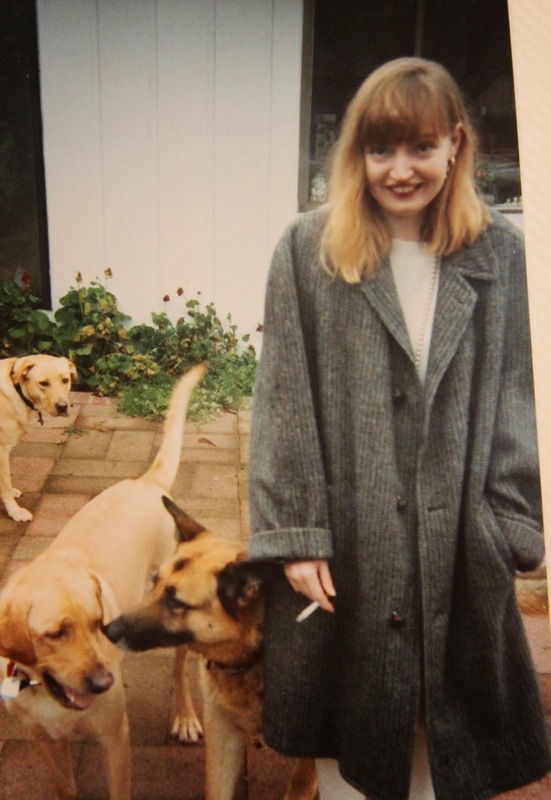 Me, underneath all those bangs and my dad’s wool coat, sneaking a smoke outside Shirley’s house with the dogs. Early 1990’s. In the early years of our relationship, I greatly resented having to go to her house for the holidays. It’s one of the hard things, I think, about growing up. You gain a partner and it’s a wonderful and happy thing but then… Wait. What? I have to spend part of my holidays with HIS family?? And his parents are divorced so we have to go to three different places in three different towns all on the same day? And they do things so differently… and we have to hold hands to pray… and his mom is always angry about the time we spent at his dad’s and makes no attempt to hold back her feelings… and I am extremely uncomfortable!!! Of course, now I miss those days. They are all gone now, way too young and too soon. All of our parents and both of Bob’s step-parents. The last time we had to do the three-town-holiday-shuffle was almost twenty years ago. Shirley was the last to go, of course, stubborn woman that she was, and I am so grateful my girls remember her as their one grandparent who was still here when they came. And I’m sitting here in a coffee shop with stupid tears in my eyes. Feeling nostalgic and grateful for one of the few things we did have in common (besides our love for her son and The Sound of Music). We both adored food! She was a very different cook than I was and one day I will let you in on some of the recipes from her collection I was lucky enough to inherit. This isn’t one of them but she did provide the inspiration. 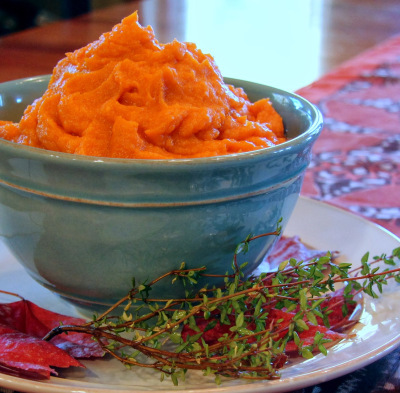 You see, we didn’t have sweet potatoes or yams at our house. My mom didn’t like them so they were against the Thanksgiving rules. So, the first time I ever tried them was at Shirley’s Thanksgiving table. I was suspicious, but still, I dug in and I found that, beneath the marshmallows and nuts, and in spite of all the added brown sugar, I actually really liked them. Sort of like, when I looked past Shirley’s tough exterior, I found I really loved her (it took some time but it happened eventually). When I first made them myself, my hunch that they may not need all that added sweetness proved true. So, these are my version. And I think of my sassy, stubborn, opinionated mother-in-law every time I make them. And then we sit down and hold hands to pray because I’m not cool anymore. Preheat oven to 400 degrees. Line a sheet pan with foil (for easy clean up). 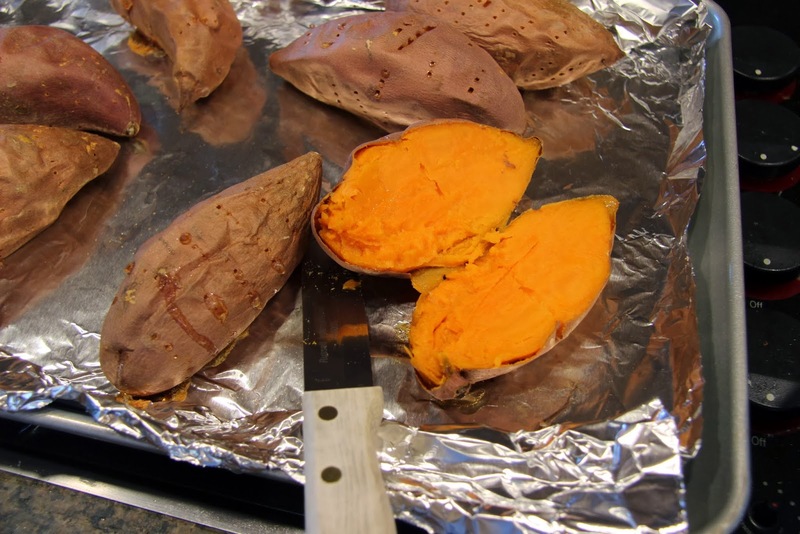 Scrub your sweet potatoes clean then place them on the foil and pierce all over with a fork or sharp knife. 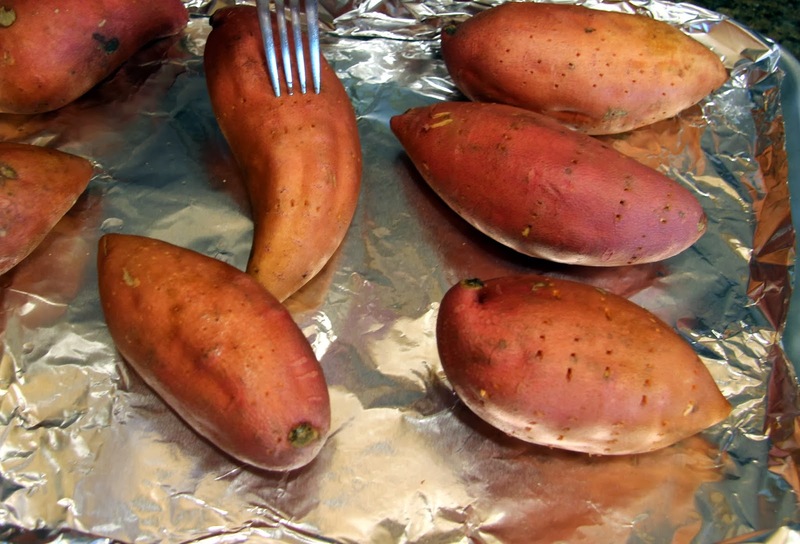 Bake in preheated oven for about 1 hour or until a fork or knife easily goes all the way through the potato when pierced. 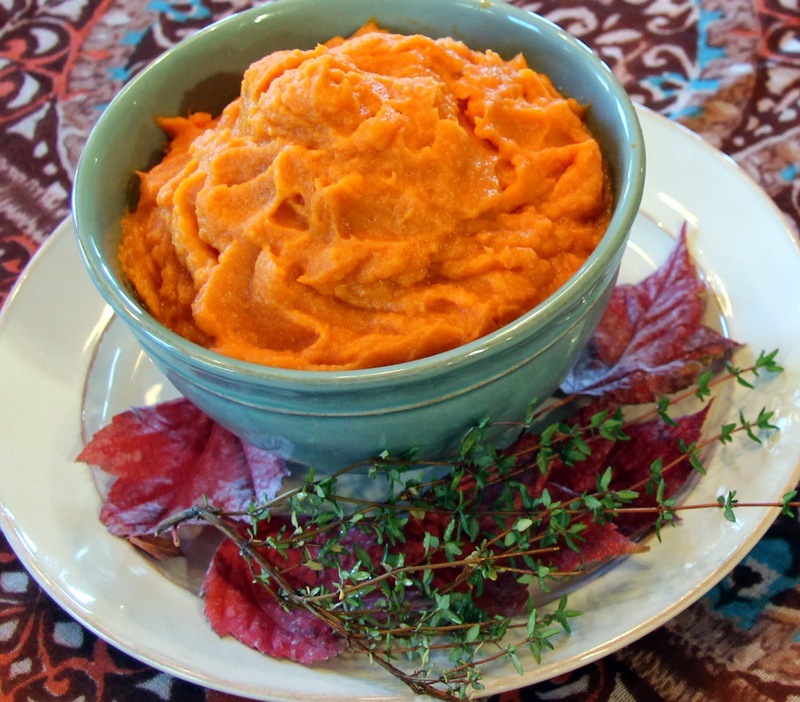 Be sure and test the largest, thickest potato in the pan. 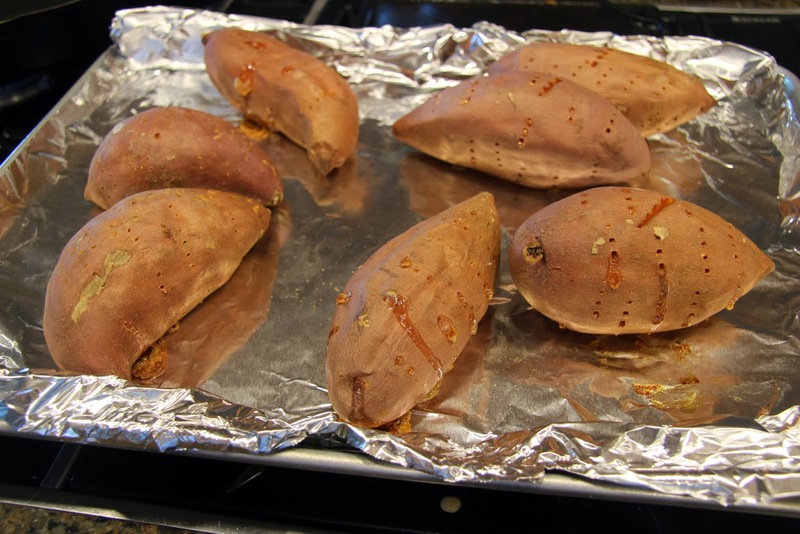 Allow them to cool for 15 minutes so they’re easy to handle then cut them in half. 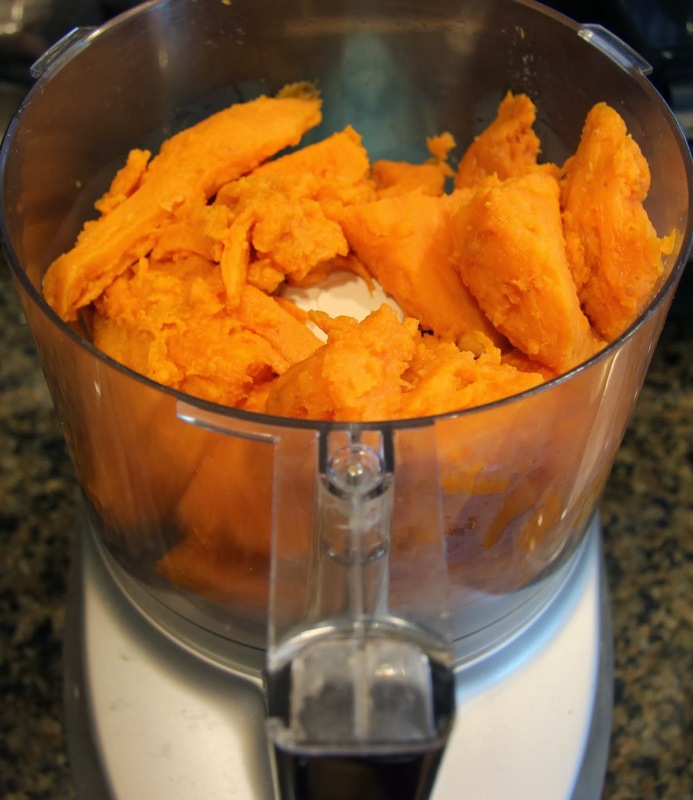 Place in the work bowl of a food processor. 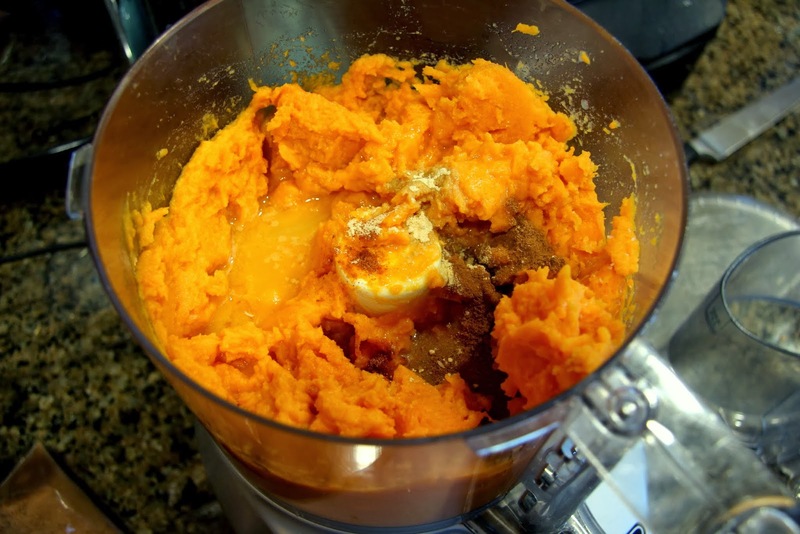 You could also use a large bowl and mix them with electric beaters if you don’t have a food processor, you just won’t get as smooth a puree. 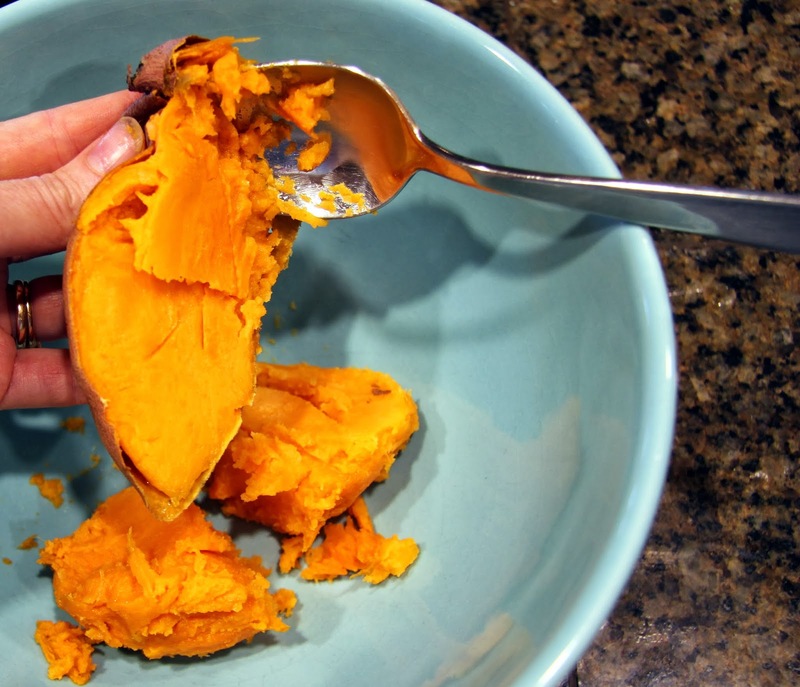 Add stock or broth, cayenne, salt, cinnamon, ginger, and orange or lemon juice. 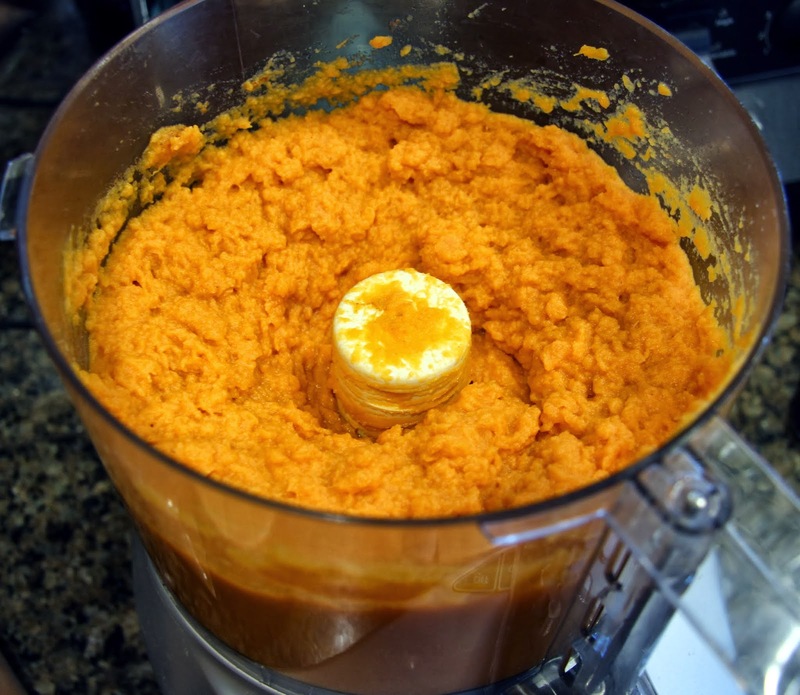 Pulse until combined, scraping sides with a spatula as needed, then puree until smooth. Add a little more stock, broth or juice if it needs more liquid to blend well.